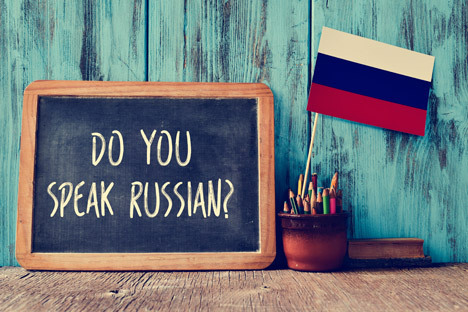 There are varieties of options to learn the Russian language even for those who don’t have time to visit Russia. Outlined below is a list of online language courses. Moscow State University provides online Russian lessons via Skype. This course is not free, but the price is quite affordable; a sum of just 16 euros for a course with a minimum of eight classes. It is then possible to check your level online with their free tests. RT suggests free online Russian lessons starting with the alphabet for beginners and more advanced tasks for those who already know Cyrillic. Lessons consist of a wide range of learning materials from easy exercises to grammar tables and tests. The Russian for Free website has a large archive of step-by-step lessons in Russian, from beginning exercises (alphabet, vocabulary games) to fairly advanced tasks (like music videos and comics in Russian). It features a phrasebook for tourists who wish to practice and hone their skills before travelling to a Russian-speaking country, and a special language guide for romantics if you need help in that department. The website also offers a trial Skype private language lesson for just one euro. Another app simply called Russian provides different ways of learning vocabulary from quizzes to listening. For iPhones and iPads only. A convenient app for beginners, Russian Alphabet is available both in the AppStore and on Google Play. One of the easiest ways to learn a foreign language is by listening to a podcast to kill time on your way to work or as a pleasant alternative to the radio during a long drive. Tatiana Klimova has recorded around 200 short dialogues, in which she explains the meanings of complicated words. This is a good tutorial for those who want to expand their vocabulary. If you are in Russia, you will have a great opportunity to learn the language, but most formal courses are not free. On the positive side, most language programmes can sponsor your visa to Russia.